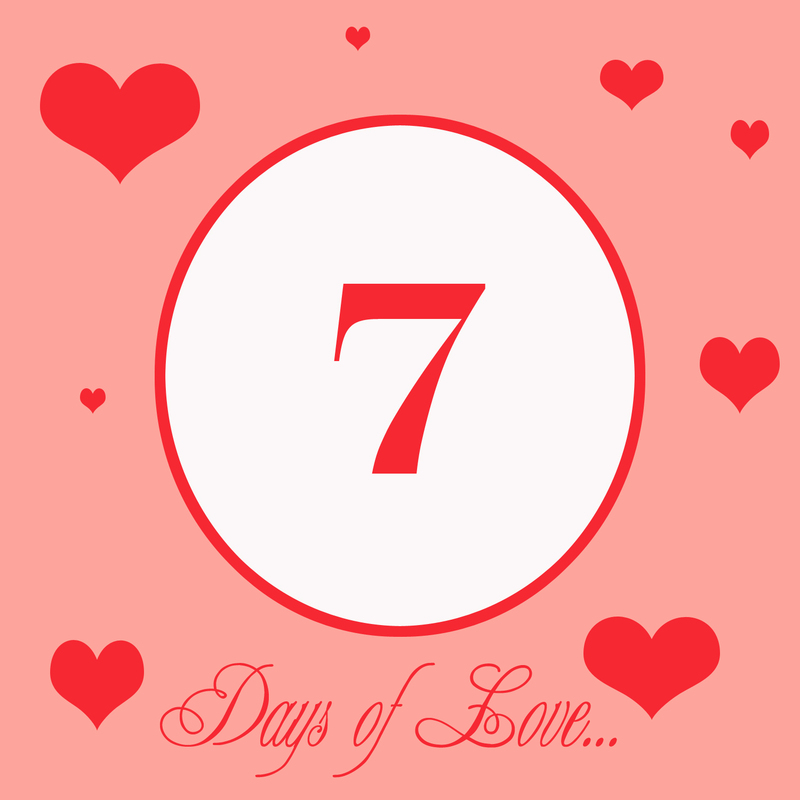 Well, here we are, only 7 days away! 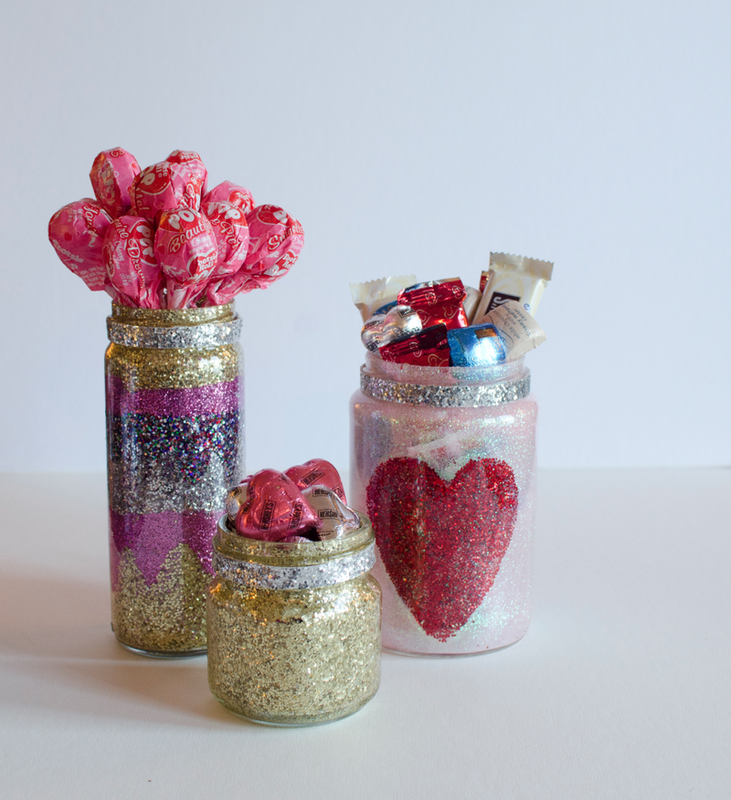 Today we mark off the halfway point with an awesome little craft from my favorite girls over at A Beautiful Mess....GLITTER JARS!! You know I love me some glitter, and these sparkly little numbers are just the most fantastic DIY project for a lazy weekend day in late winter. See for yourself . . .
1. 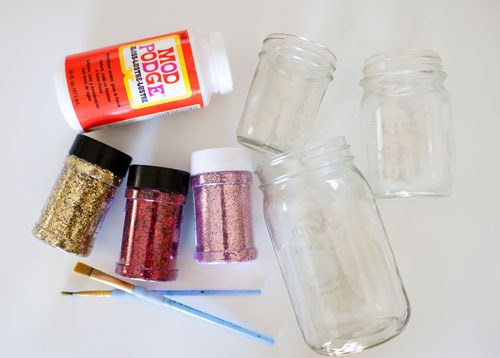 Paint various designs on the inside of the jar with the glue. 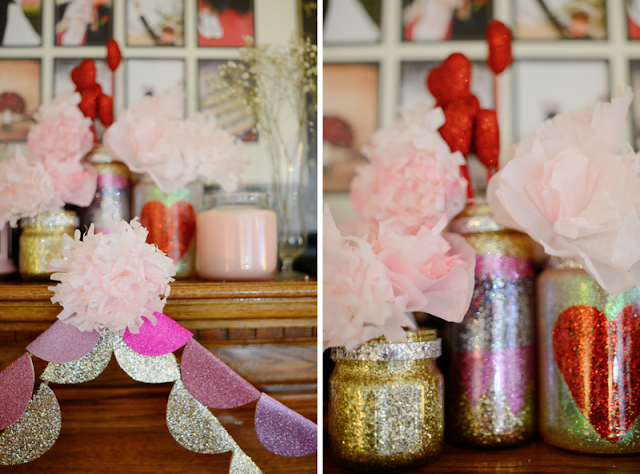 I chose to paint large hearts, stripes, and a solid gold for my three jars. 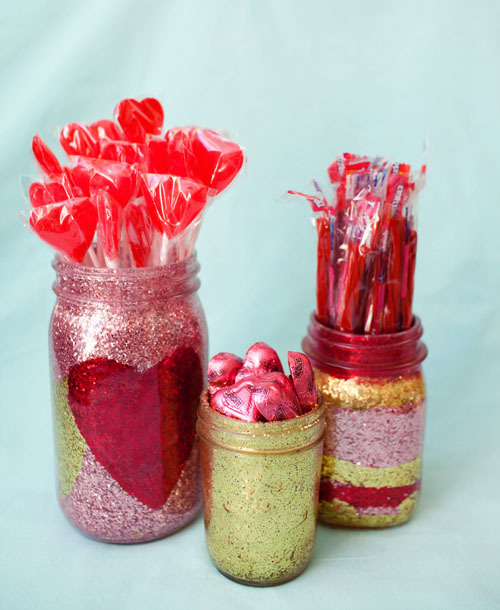 Polka dots would also be cute! 2. 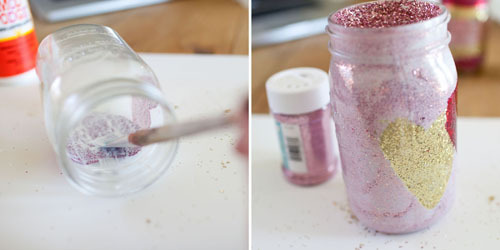 Pour a bit of glitter into the jar to coat where you've painted on the glue, then tap the jar upside down onto a piece of paper a few times to remove the excess. 3. 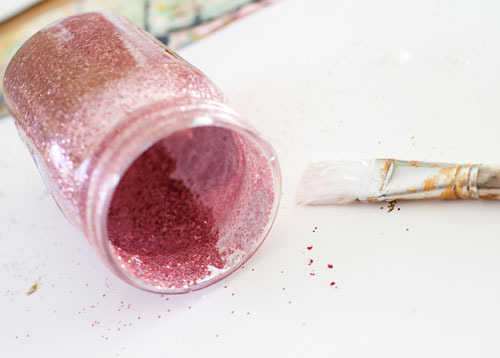 If you're using various colors of glitter on one jar, do one color at a time and allow the glue to dry thoroughly before you start another color. This keeps the colors from mixing! 4. 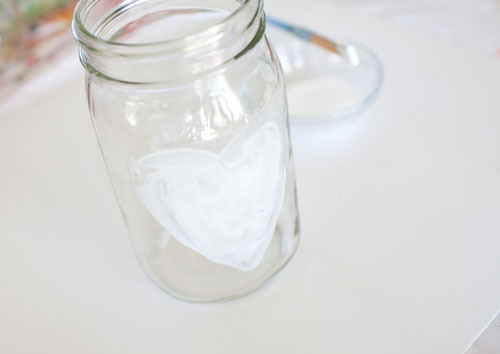 After you've finished the designs and the glue has dried, coat the entire inside of the jar with a thick layer of glue and allow to dry for at least 24 hours. 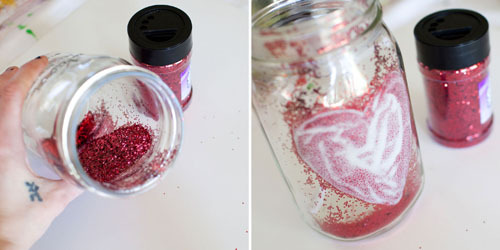 This forms a "seal" over the glitter and keeps it from flaking off. 5. 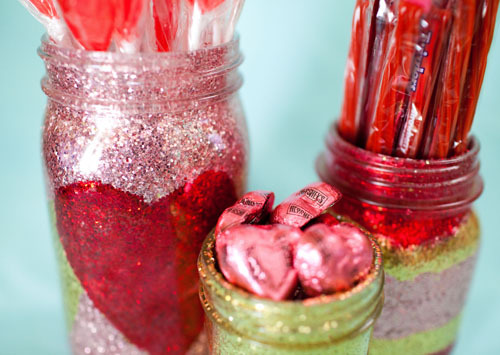 Fill the jars with your favorite Valentine's treats! 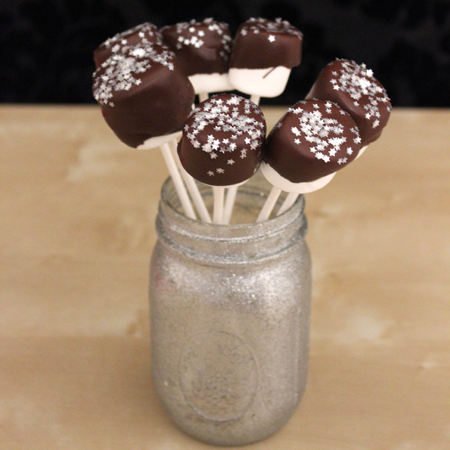 Note: Kind of obvious, but even though the glitter won't flake off I'd still recommend only using treats that are individually packaged. A touch more fun . 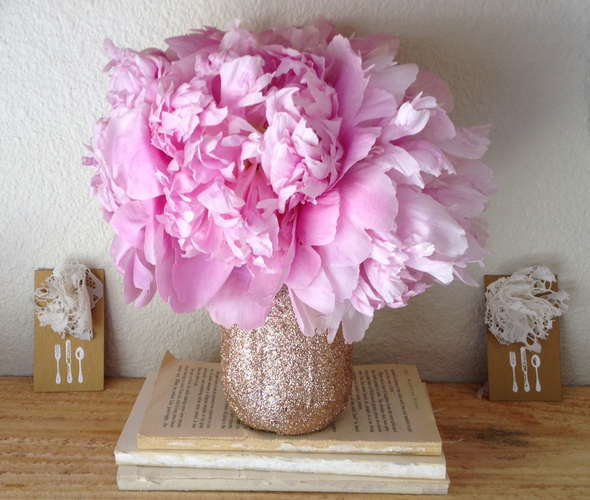 . .
And my absolute favorite? 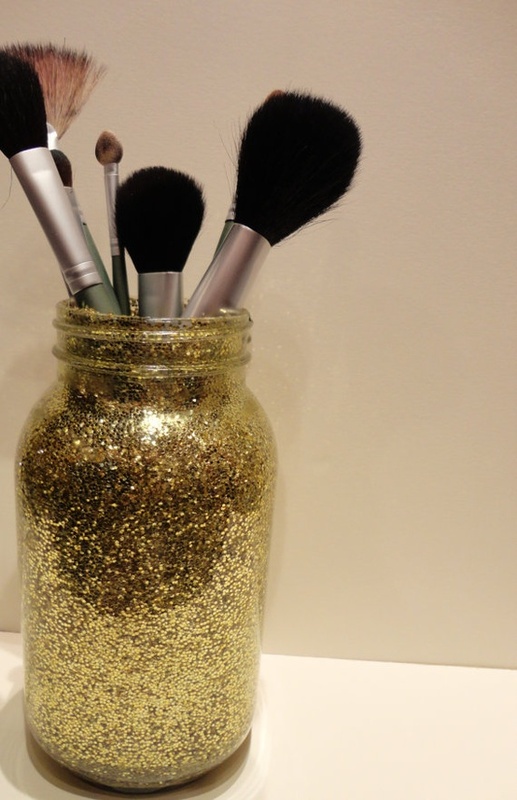 The most awesome make-up brush holder EVER! !